When you're mad or worried or can't wake up in the morning, what can you do? Use the amazing super - power that you already have - breathing. Our newest offering from the bestselling creators of Good Night Yoga teaches kids fun and easy breathing practices based on the proven methods of yoga and mindfulness meditation. 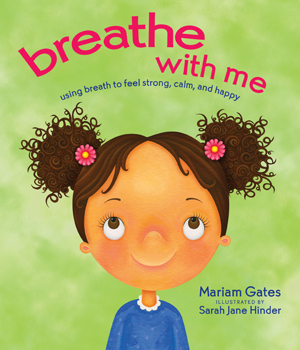 Breathe with Me guides young ones ages 4-8 through 11 exercises to promote body awareness, calm anger and temper tantrums, self-soothe in fearful new situations, energize in the morning, and relax at bedtime. Through visualization and play, this engaging breath-by-breath journey teaches children an essential set of self-care skills that will benefit them for a lifetime.